Sean Langman’s competitive spirit and raw sailing ability in everything from dinghies to maxis has seen him chart an extraordinary career. 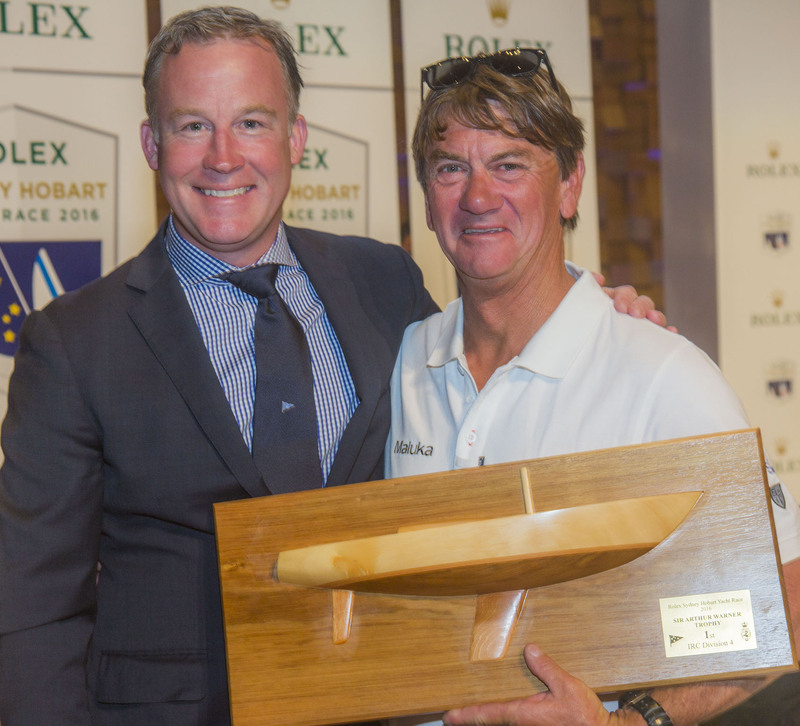 We spent time with him as he prepared his latest Rolex Sydney Hobart contender, Naval Group. Sean Langman’s business is boats. More specifically, ensuring they are fit for whatever purpose they are designed for. As the Managing Director of the Noakes Group of boatyards, he has overseen literally thousands of refits, refurbs and commissions. 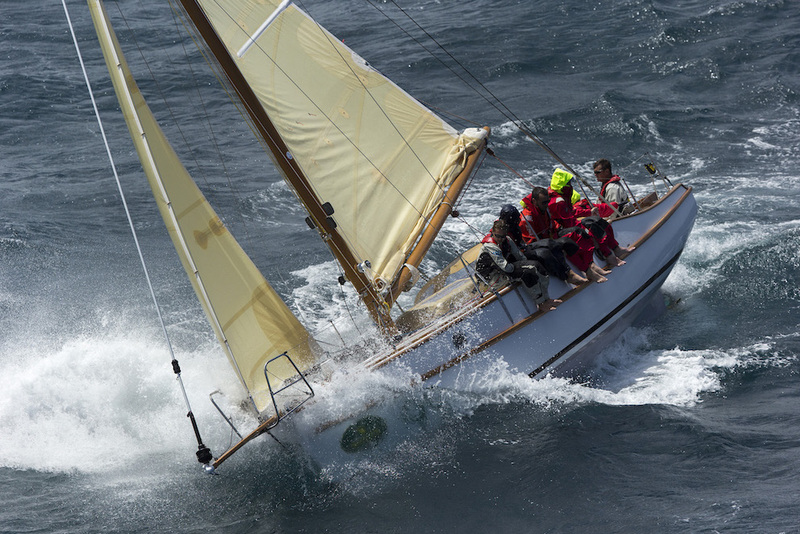 He also possesses an innate ability to coax the best out of a yacht – tinkering with a keel or rig; re-shaping or shaving a bow or stern section – in the sacred quest to find that winning fraction of a knot in speed. When I visit him at Noakes’ Sydney headquarters, he showed me an exposed section of the keel bulb of Naval Group, his entry for this year’s Rolex Sydney Hobart Yacht Race. After taking the old Moneypenny out, he realised the bulb needed to be moved further aft. Now he’s working on how to put more lead back into the 65-footer’s key underwater apparatus. If anyone can unlock a boat’s untapped potential, it’s this self-taught student of design and hydrodynamics: “I love it,” he confesses. “Last night I was chiselling off a whole lot of fibreglass to find out how much lead I could put on a bulb. I thumped my thumb doing it,” Langman says ruefully. Langman has partnered with the giant French defence contractor Naval Group, which has been selected to build Australia’s next generation of submarines. He describes this Rolex Sydney Hobart campaign as a team-building platform to show how the French and Australians can work together on the AU$50 billion dollar project. From Naval Group’s huge pool of 25,000 employees, Langman has whittled down a core group with solid sailing experience. All up, there will be 18 on board: five pros from Noakes; the group from Naval Group in France; a group from Naval Group in Adelaide; and three Royal Australian Navy officers (two lieutenants and a rear-admiral). “I’m the skipper though,” he notes wryly. 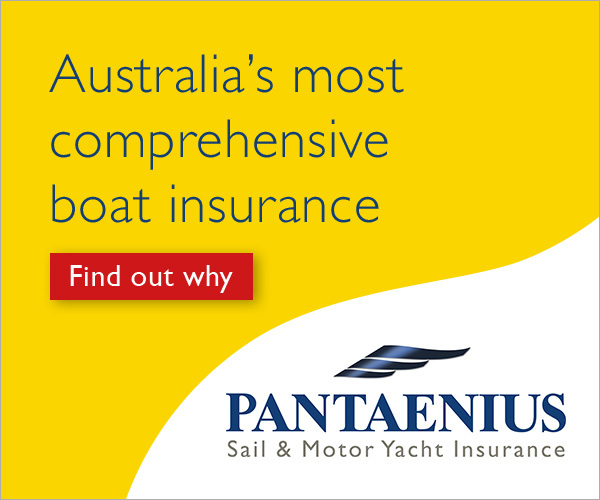 As Moneypenny, the boat’s best result in the big three – the Rolex Sydney Hobart, the Fastnet and the Newport Bermuda – was a third in the Fastnet in a dying breeze. For the challenges of the Rolex Sydney Hobart, some changes have been necessary: “We are beefing the boat up structurally, and pretty much preparing for the best opportunity, which is an upwind race,” Langman reveals. “If we get smacked early, and can hang in, there’s a chance. “I flew over to Newport in the US and looked at the boat before we even opened the container and immediately thought, there’s a lot of boat for the money. “It’s a beautiful boat, it has velour cushions,” he says, with delicious irony given his reputation for ruthlessly stripping out any and everything that could be regarded as excess weight. In his 26 races he has often led the fleet south, either on one of his modified downwind flyers like Xena or the mighty minnow Maluka of Kermandie – the-86 year-old gaff-rigger that consistently beats its carbon rivals and, to her credit, achieved an eighth overall in the 2006 Rolex Sydney Hobart Yacht Race. By his own admission, there have been lots of seconds, but he’s also campaigned the supermaxi Loyal with Anthony Bell, so his impressive competitive credentials stretch right across the fleet. Like just about every boat, there will be new sails. In Naval Group’s case, a cable-less Code Zero from Doyle’s and a J5 that fits inside it and furls. Having the resources of a top boatyard is also an advantage, though Langman knows there are variables he has no control over. “I have Ed Powers and Nathan Edwards on the 18-footer. We won the opening race of the season and going the down the last reach I was in tears; I was bawling. “My quest was always the Olympics. Some of the best sailing I’ve ever done is when I was sailing a 49er in the lead-up to the Sydney Olympics in 2000. I was sailing four hours a day, going to regattas and titles, and we put the hard work in to get to the podium. As experienced as Langman is, he’s only too aware of the sea’s ability to dictate terms to the best sailors. 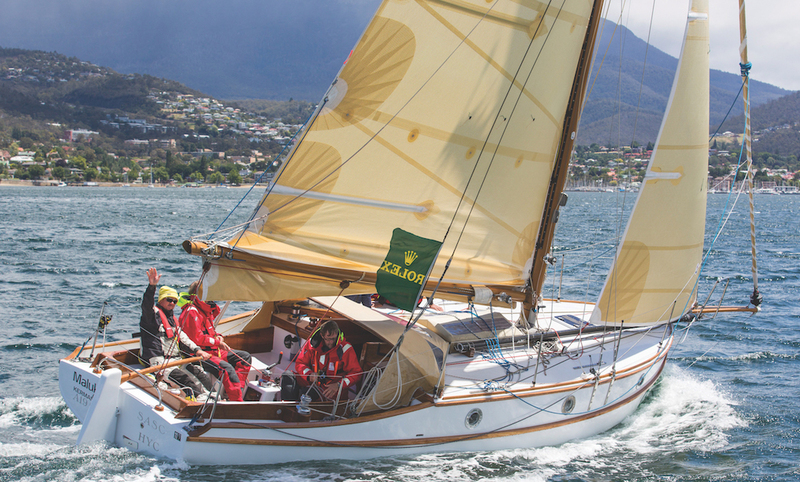 He was delivering his beloved Maluka from Hobart back to Sydney before last year’s race when two roaring 15-metre rogue waves knocked the boat down – Maluka was completely underwater. “I landed on a winch and thought I had broken my back,” he recalls. “I thought the boat had broken its back too and was sinking. There was suction; she was dragged under like a surf wave. Fortunately, Woodward was able to drag Langman downstairs and the pair was able to ride out the storm. Langman suffered cracked ribs and severe bruising, but they made it to safety thanks to the tactic. That experience, and others such the 1998 storm, now inform his approach when offshore: “In ocean racing now, I don’t put any pressure on myself,” he says. “Also, I’ve told the Naval Group crew that you are selling yourself short if you don’t enjoy the camaraderie at the end of the race. Like the start, it’s part of the experience. They’re the things you’re not going to forget. We wish him and the crew of Naval Group well for the trip south.